We hope you will choose us because we are experienced Realtors that knows the Valley and has successfully navigated the ups and downs of the Real Estate Market for over 30 yrs. Our team will take you through the process of buying your new home and help you with whatever you need to make the move. Buying or selling a home or land is one of the biggest financial transactions a person can do, make sure the people involved are the ones that will do it right. Knowing about the local real estate market and local community information is critical. Click here to learn all about Scottsdale, Paradise Valley, Phoenix, Carefree, Fountain Hills, Tempe and other Maricopa County areas. 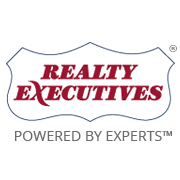 Click here to receive free information about buying a home in Scottsdale, Paradise Valley, Phoenix, Carefree, Fountain Hills, Tempe or any other surrounding local Maricopa County real estate market.